Today we offer recommendations for those with a higher price point -- limited edition books with prints. But one doesn't need to break the bank to purchase a limited edition with a print. For even more affordable options, take a look at our in-stock selection from the collectible One Picture Book series from Nazraeli. Read parts I, III and IV. 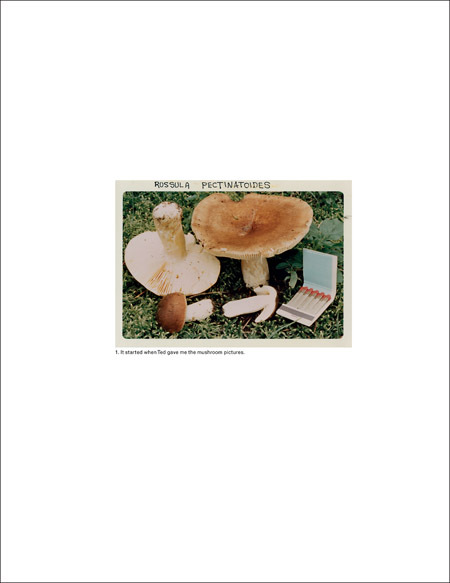 An innovative juxtaposition of found photographs with his own work, Jason Fulford's 2010 The Mushroom Collector quickly became a must-have for photobook collectors. Now out of print, signed copies are selling on the secondary market for $300+, making this signed limited edition with a print (print 4 and print 5) an exceptional deal at $250. Over the course of 20 years, Hans Bol has explored and photographed the marble quarries of Carrara, Italy. There is a profound history in these mountains -- these are mines that have been active since 70 BC, mines from which have come the marble that Michelangelo used to make his David, that built the Pantheon, and can been seen in famous buildings worldwide. 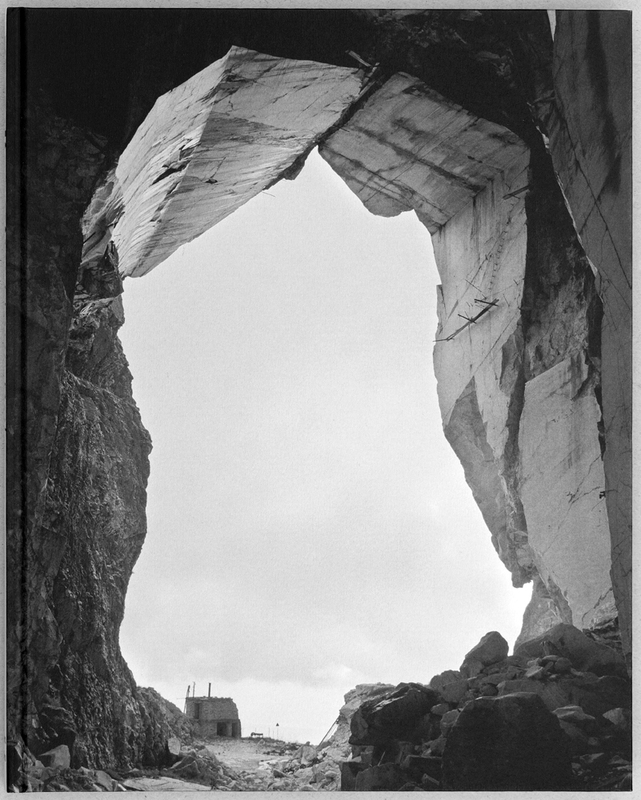 Bol's images show the grandeur of the mountains and the still beauty of the quarries, the sculptural nature of the man-hewn landscape rendered in images that remarkably capture the unique and fine tones of the marble. Bol's images explore cold beauty of the area, but also the enormity of the impact that humans have had on the landscape, resulting in a complex and subtle meditation on man's interaction with nature. Meticulously designed by Dutch book designers Typography Interiority & Other Serious Matters, a slipcased limited edition of Paradise City is available with a choice of one of three prints - A, B, or C.
The first in a series of limited edition books with prints from Hiroshi Watanabe, Faces Vol. 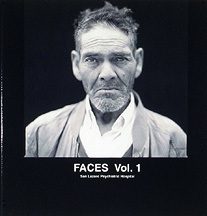 1 features a collection of portraits shot by Watanabe at the San Lazaro Psychiatric Hospital in Quito, Ecuador. Given the surroundings, one might expect the images to have a certain heaviness, but Watanabe's portraits are something else altogether. Tender and intimate, we do not see the subjects for their diagnosis, but instead we see something special pass between photographer and subject, a flash of interaction or moment of connection Watanabe is able to find, even with sitters who don't seem to acknowledge his presence. Faces Vol. 1 is a beautiful example of Watanabe's considerable skill as a portrait photographer. The small-scale book is available with a choice of one of two prints. Out to Lunch is a jammed packed limited edition full of Ari Marcopoulos' early and recent work with a ton of extras -- contact sheets, stickers, posters and a screen play. 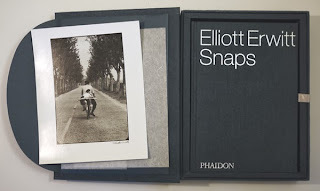 Snaps is brimming with the wonderful and iconic photographs of Elliott Erwitt, almost 500 images total, many of which had not previously been published. The images in this book cover 50 years of the Magnum photographer's images, creating the first comprehensive monograph of Erwitt's work and representing the true breadth of his photographic career. 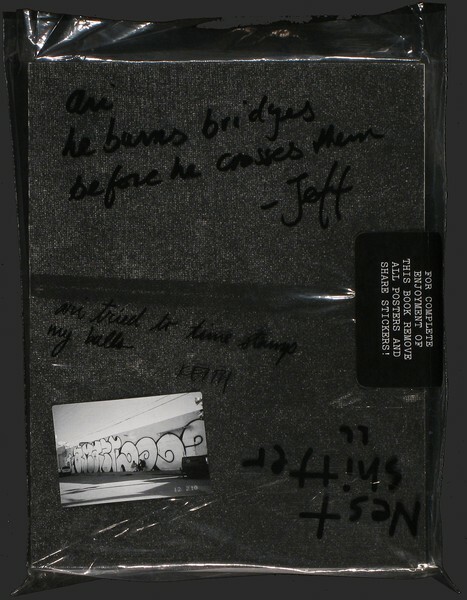 The limited edition is presented in a sturdy clam-shell box wrapped in teal blue cloth with the signed and numbered limited edition print carefully placed in an envelope mounted in the front cover. 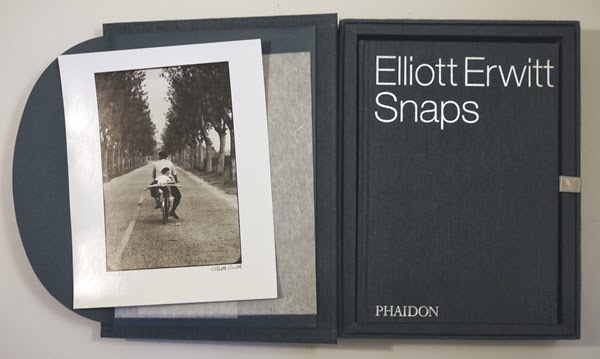 The edition currently in-stock includes a print of Erwitt's classic 1955 image Provence, featuring a child peeking over his shoulder at the photographer while riding on the back of his father's bicycle, each wearing berets, baguettes strapped to the rear of the bike. Erwitt's clever and witty photographic style is hard not to love, and this beautiful edition of Snaps is sure to be treasured.